The collection was donated to the University Archives by Marilyn Fetterman in May 1991. The materials in this collection have been arranged chronologically. A date for some material could not be determined and that material is after the chronologically arranged materials. There are also two boxes of lantern slides for which dates could not be determined. 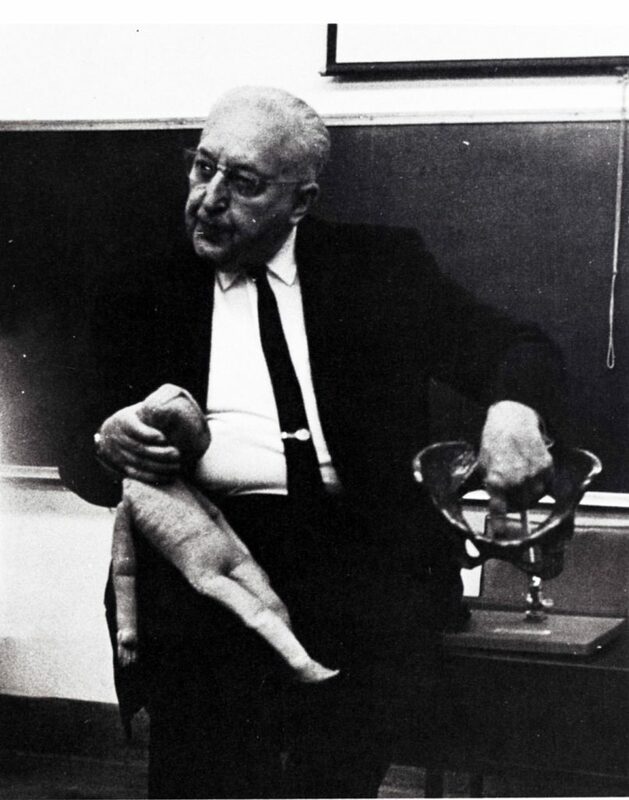 Dr. William Benson Harer (1896-1968) dedicated a lifetime to the practice and teaching of medicine in the field of obstetrics and gynecology, most of which was done while he served on the faculty of the University of Pennsylvania. An undergraduate degree (1919) and a medical degree (1921) was just the start of Dr. Harer’s association with the University, an association that would eventually span more than four decades. Dr. Harer served both his internship (1921-1923) and residency (1924-1927) at the Hospital of the University of Pennsylvania (HUP). Dr. Harer was on the School of Medicine faculty as an instructor 1927-41 and later as Associate Professor (1941-1955) and Professor (1955-1963) of Clinical Obstetrics and Gynecology. He was honored as an Emeritus Professor of Medicine in 1965. Dr. Harer also held a number of positions in his field outside of the University. At various points in time, he served as president of the Delaware County Medical Society, the Medical Society of Pennsylvania, and the Delaware County Unit of the American Cancer Society. He was the chief gynecologist and obstetrician both the Fitzgerald-Mercy Hospital in Darby, Pennsylvania, and St. Agnes Hospital in Philadelphia. He was also the founder and chairman of the board of the Community Y.M.C.A. of Delaware County. In 1963 he became the Director of Medical Affairs of the Blue Cross Association Hospital Service of Philadelphia. Dr. Harer’s function in this role was to show hospitals and doctors how to cut waste and abuse of Blue Cross benefits. William Benson Harer was born on October 27, 1896 in Upper Darby Pennsylvania and died October 11, 1968 in Darby (Borough), Pennsylvania. His spouse was Letitia Burke with whom he had two children, son William Benson Jr., who was also a University of Pennsylvania alumnus (M-1956), and a daughter, Marian Elle. The William Benson Harer Papers document his career as a professor of obstetrics and gynecology at the University of Pennsylvania, his involvement with the Medical Society of the State of Pennsylvania, and his time as a student at the University of Pennsylvania. The material that dates to when Dr. Harer was a student is nominal, therefore it does not provide a comprehensive view of this particular part of his life. There is substantially more material from when Harer was a professor. This material consists of lecture notes, course handouts, and lantern slides of charts that Dr. Harer used during his lectures. The other significant amount of material is correspondence between Harer and the Medical Society of Pennsylvania. This material mostly pertains to approval of new members, appointments of members to various committees, and other day to day minutiae of the business of the Society.